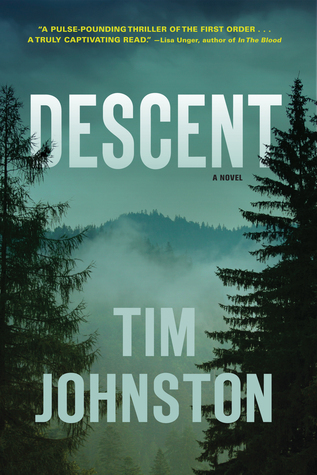 Today I'm featuring Descent by Tim Johnston, a thriller that I borrowed from the library. Her name was Caitlin, she was eighteen, and her own heart would sometimes wake her--flying away in that dream-race where finish lines grew farther away not nearer, where knees turned to taffy, or feet to stones. Lurching awake under the sheets, her chest squeezed in phantom arms, she'd lie there gasping, her eyes open to the dark. Page 56: "He stepped between the rockers and turned to face the men. A tall, lean young man in a black leather coat and crisp white shirt. Dark hair stashed behind his ears and a small tuft of beard clinging to the underside of his lower lip." My thoughts: What is causing Caitlin to awaken with a fright? This ominous beginning has piqued my curiosity about the story to unfold. 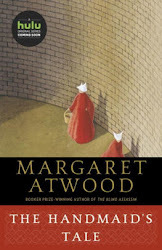 From Goodreads: The Rocky Mountains have cast their spell over the Courtlands, a young family from the plains taking a last summer vacation before their daughter begins college. For eighteen-year-old Caitlin, the mountains loom as the ultimate test of her runner’s heart, while her parents hope that so much beauty, so much grandeur, will somehow repair a damaged marriage. But when Caitlin and her younger brother, Sean, go out for an early morning run and only Sean returns, the mountains become as terrifying as they are majestic, as suddenly this family find themselves living the kind of nightmare they’ve only read about in headlines or seen on TV. Friday Focus: The Friday 56 & Book Beginnings #86 was originally published by Catherine for bookclublibrarian.com. This post cannot be republished without attribution. Retweeting and sharing on Google+ are encouraged and appreciated.